Assiscunk, Crosswicks, and Doctors. Located in west central New Jersey, within parts of Burlington, Mercer, Monmouth, and Ocean counties. 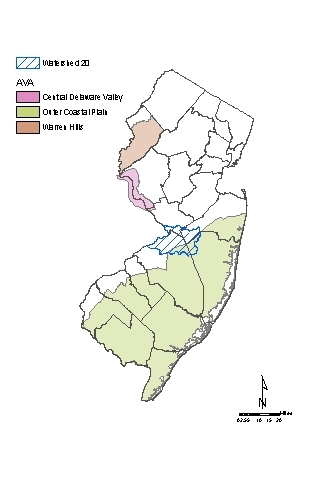 The eastern part of the watershed intersects with the Outer Coastal Plain AVA.